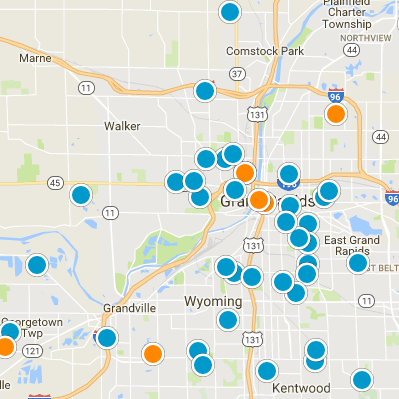 PyxisRealty.com brings you THE #1 Grand Rapids Home Search! Contains more active Michigan real estate for sale than other sites - 30% More Homes! Delivers ACCURATE and ACTIVE real estate listings - DIRECT FROM THE MICHIGAN MLS. Gives access to homes as they come on the market - UPDATED DAILY! Thinking of buying or selling your home in the greater Grand Rapids area of West Michigan? 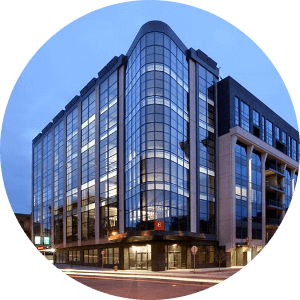 Look no further- at Pyxis Realty a team of expert real estate agents will provide dedicated services to guide you through the process of selling your current home, or finding the perfect new house for you and your family. Peruse PyxisRealty.com to find the most up-to-date house listings, and access over 30% more homes for sale than any other West Michigan real estate website! We deliver the most accurate and active listings of homes for sale, direct from the Michigan MLS. Our clients are given priority access to all homes as they come on the market, and our database is updated daily! Search properties based on your budgetary requirements, regional/location preferences, size of the home, number of bedrooms, etc. 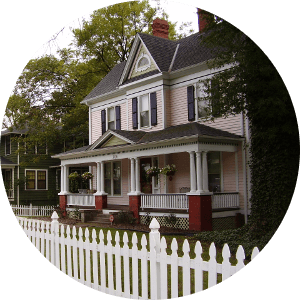 Our guests can search through hundreds of Grand Rapids homes, with full property descriptions, detailed lists of features, and numerous pictures of the houses for sale. Keep abreast of upcoming opportunities on the featured properties page and real estate blog. For any questions about buying or selling your home, foreclosures and luxury properties, and investment properties in West Michigan, or to quickly determine the value of your current home, use the tools on PyxisRealty.com or contact us to have your questions immediately answered. Grand Rapids is the perfect area for people to experience the joys of city life, and beauties of nature in every season. 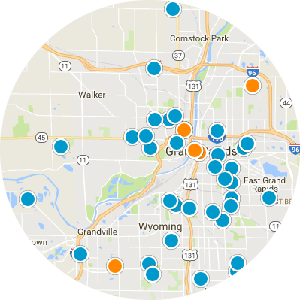 This stable real estate market in Grand Rapids is known for affordability, whether you plan to look for a condo or a home for sale. With ballets, operas, museums, parks, restaurants, and historical sites, there is no shortage of excitement in this city! The quaint community of East Grand Rapids was once a coveted resort area in centuries past. Now a thriving town, residents can enjoy a historical downtown area, with shopping and restaurants, while having access to plenty of nature trails and scenic walks for outdoorsy families. The homes for sale here range from luxurious properties to practical family homes. This town presents the best of all worlds with easy accessibility to Grand Rapids, while still being ensconced near the West Michigan woods and rivers. Families will find the real property here to vary from reasonably priced homes and condos, to lavish river-front properties where they can enjoy a variety of water sports in this well-appointed town. The idyllic Rockford is a fascinating place for American history lovers to dwell. An erstwhile logging village, here families can bond in the stunning outdoor landscapes surrounding the Rogue River, just a few miles from Grand Rapids. Classic buildings and beautiful new homes of all sizes are available in this West Michigan community. Courtesy of Marilyn K Wagner with RE/MAX of Grand Rapids (FH). Courtesy of Matthew Armstrong with Groot Realty LLC. Courtesy of Josh R May with RE/MAX of Grand Rapids (FH).